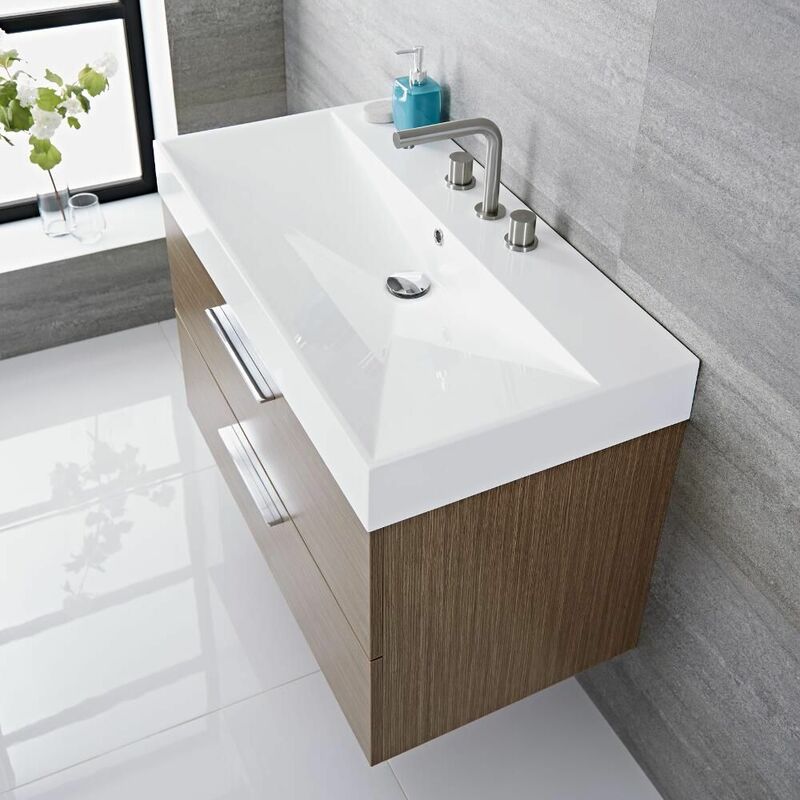 This modern wall mounted 35” vanity is meticulously crafted with everyday use in mind, and features a polymarble basin complemented by a beautiful oak finish, making it a perfect choice for both contemporary and traditional bathrooms. 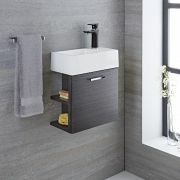 Combining aesthetic appeal with clever design properties, this stylish storage solution is partially drilled to allow for optional faucet hole installation, and includes an overflow as well as soft close drawers with polished chrome handles, ideal for housing essential bathroom items. Sure to add a modern flavor to any space, this unit is supplied rigid for ease of use and installation. Please note: faucet not supplied. 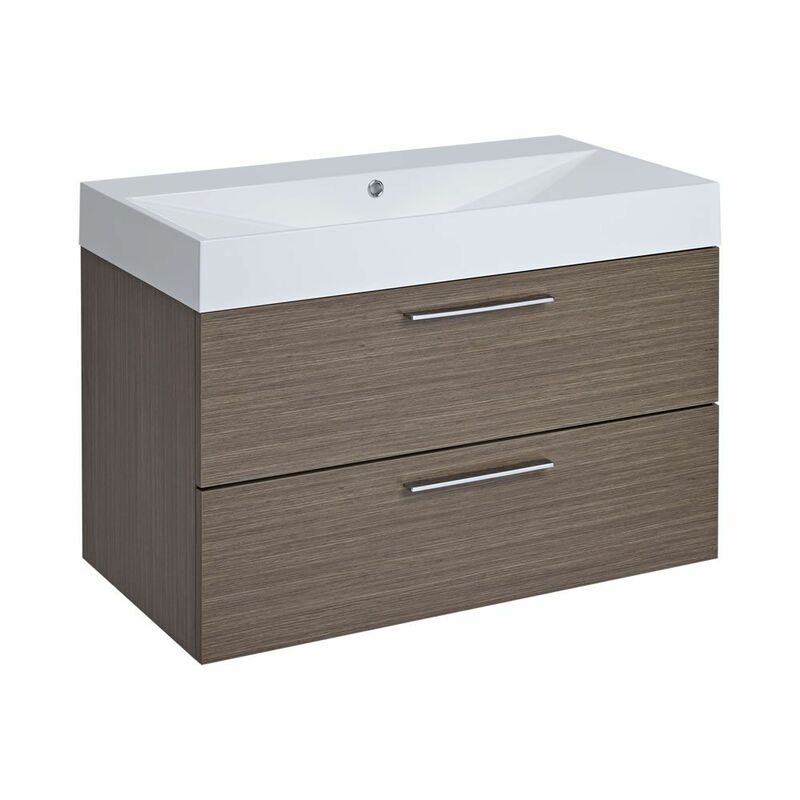 Bathroom furniture is a key bathroom feature that should be used to enhance both the functionality and appearance of your space. To ensure that is the case, you need to make sure that the design and quality of your chosen furniture matches up with your specific needs. Hudson Reed offer an extensive selection of top quality designer bathroom furniture, including vanities, cabinets and much more, so you can be certain to find a perfect option to suit in our impressive range. 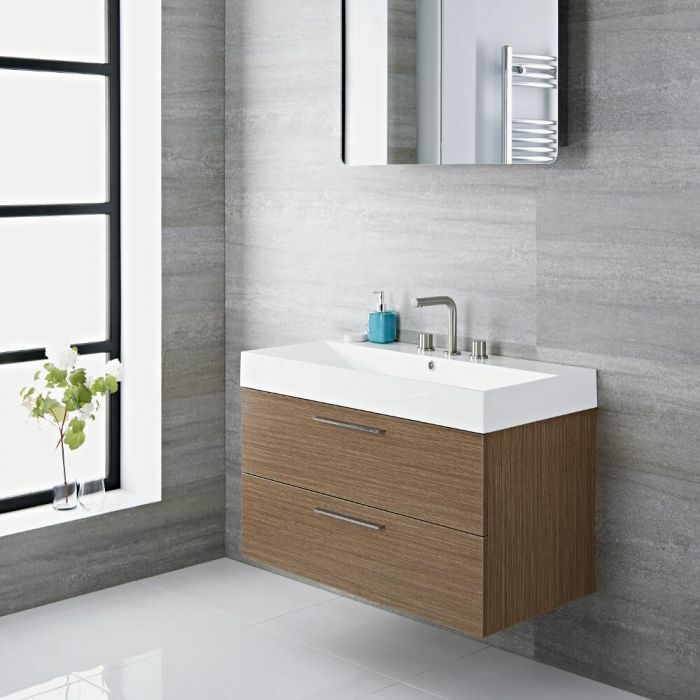 It is wise to opt for bathroom furniture incorporating neutral, classic design elements to ensure your choice will retain its aesthetic appeal, and remain in vogue for several years after purchase. 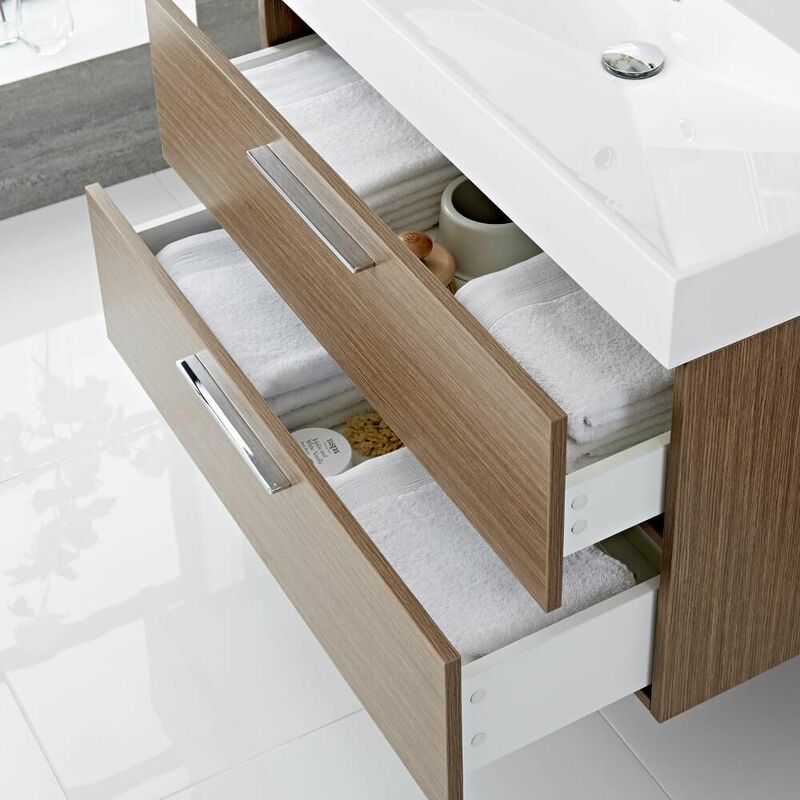 Hudson Reed’s bathroom furniture collection features a wide variety of elegant, neutral models which are sure to complement any kind of furnishing. 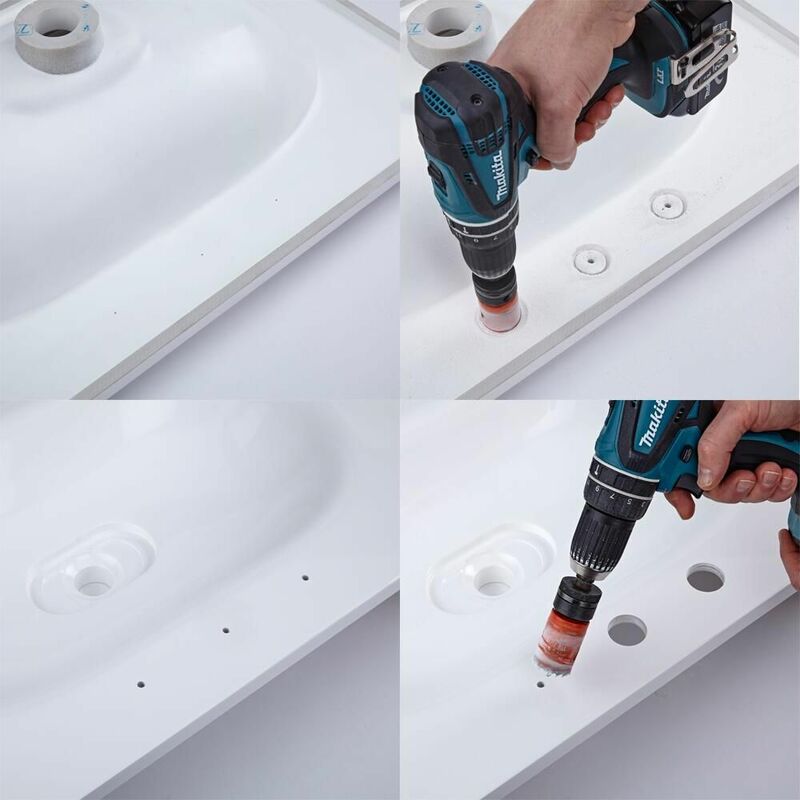 One of the main things to consider when choosing bathroom furniture is the size of the component you’re looking to install. You need to make sure you select furniture with dimensions well suited to your space, and a unit which offers adequate storage room for the likes of towels, toiletries and accessories. 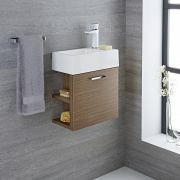 Hudson Reed bathroom furniture is supplied in a wide variety of sizes to fit any space, style and requirements. 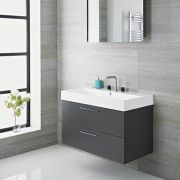 The design and visual appearance of bathroom furniture usually play a large part in influencing our choice. 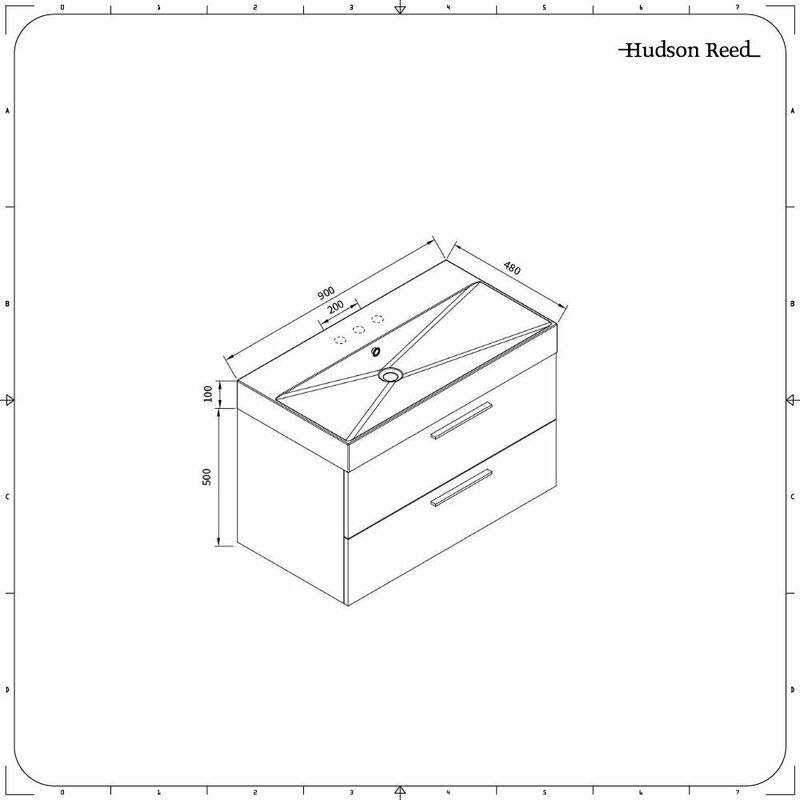 With Hudson Reed bathroom furniture, you can be assured of a top quality construction that guarantees a long-lasting, durable performance.